Do you find yourself spending too much on home fragrance products? It’s easy to get sucked in these days, especially with all the plug-ins and air freshener sprays that need to be refilled every few weeks or so. Fortunately, there are several easy ways to end your home fragrance product addiction. Odds are, you already have several items in your home that you could be using to make your home smell wonderful day in and day out. For just pennies on the dollar, it’s easy to see why these easy DIY solutions are the superior choice to the home fragrance products from your local store. Tons of people use baking soda to deodorize their fridge. In fact, there’s a good chance that there’s a box of baking soda in your fridge at this very moment. So why not use the same solution to deodorize your home? In order to use this DIY home fragrance method you’ll need a jar with a lid. Punch some holes in the lid before you start. Then, fill the jar about 1/3 full with baking soda. Add a few drops of your favorite essential oils and give it a good stir. Place the lid on tightly and set it out in your home. In addition to giving off a lovely, subtle scent, the baking soda mixture will also absorb unpleasant odors. If the scent starts to fade, shake up the jar to refresh it. It’s also a great tip to give the jar a shake right before you have company over to ensure a lovely smelling home. This keeps the scent fresh for months before you have to replace your baking soda mixture. Bonus tip: You can sprinkle some of your baking soda mixture on carpets to use it as a carpet deodorizer. Let the mixture sit on the carpet for about 5 to 10 minutes after you first apply it. Then, simple vacuum it up. As long as you’ve got your essential oils out to make your baking soda mixture, why not make your own air freshening room spray while you’re at it? All you need is a spray bottle filled with a cup of distilled water. Add 8 to 10 drops of your favorite essential oils and shake to mix. Then, let the solution sit for a few hours before you start using it. When you want a fresh smell in any space or on any surface, just use this spray. A little goes a long way, so it lasts for a long time. Plus, you can apply it to your furniture to give the fabric a fresh smell. A simple way to give your home a fresh, pleasant aroma is to use your stovetop. Just fill a small saucepan with water and put it on high heat. While it’s heating up, gather some natural herbs and fruit peels that you can use for a nicely mixed scent. Once the water starts boiling, add your ingredients and boil them for a few minutes. Then, turn the heat down and let the mixture simmer as the smell permeates your home. Reed diffusers become a popular home fragrance product several years ago. The problem is that most are overpriced and the refills are expensive. Fortunately, you can make your own right at home. Though you may need to buy a couple of these supplies, the results will be more effective and you’ll have enough to last you through several refills, saving you significant money when compared to buying a reed diffuser and refills from the store. Find a glass container with a narrow opening. Mix 20 to 25 drops of your favorite essential oil with ¼ cup of carrier oil and add it to the container. Then, place several diffuser sticks or bamboo skewers upright in the container, ensuring that they are tall enough to stick out of the top at least a few inches. Every few days, simply flip the sticks over the refresh the scent. After a month or two, you can create a fresh mixture if the scent starts to fade. Candles are another expensive item that seems outrageous when you think about the fact that it’s just wax. Can you believe that some jar candles cost $20 or more a piece? For an easier option, just get your own beeswax or soy wax and melt them down, adding essential oils in for fragrance. Then, place a wick in a jar and pour the melted wax it. When it cools and hardens, you have cheap, fragrant candles to use in your home. 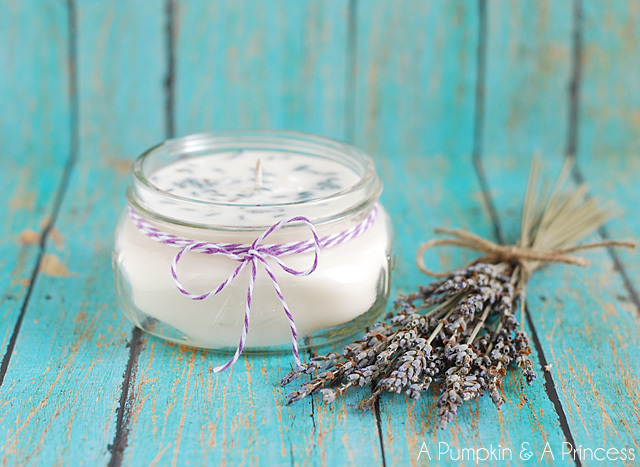 Use these simple DIY methods to enjoy a lovely fragrance in your home day after day. If you’ve never purchased essential oils before, keep in mind that they have many other uses and benefits around the house.